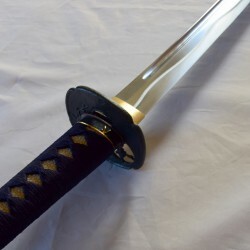 IAITO model B -ATSUKUCHI (heavy) TSUKA SILK OR LEATHER HA WATARI / Blade length: 2.35 (72.72cm) to 2.45 (74.23cm) TSUKA length / Handle Length: 7.0 (22.72cm) - 10.0 (30.3cm) Sageo /Cord : Silk Tsuka ito / Handle Braid : Silk or Leather A heavy iaito, weight about 900g (2.35) Manufactured in SEKI by genuine craftsmen. 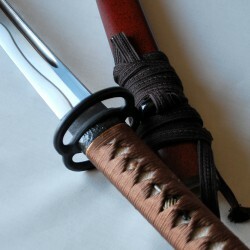 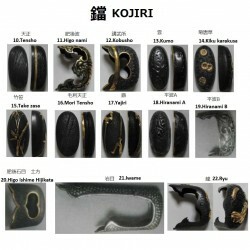 IAITO model B -ATSUKUCHI (heavy) TSUKA SILK　OR LEATHER HA WATARI / Blade length: 2.35(72.72cm) to 2.45(74.23cm) TSUKA / Handle length : 7.0(22.72cm) - 10.0(30.3cm) Sageo /Cord : Coton or Silk Tsuka ito / Handle Braid : Silk or Leather A heavy iaito, weight about 900g (2.35) Manufactured in SEKI by genuine craftsmen. 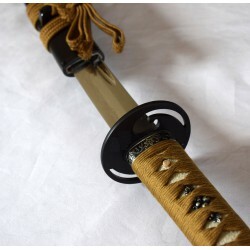 IAITO model B -ATSUKUCHI (heavy) LONG TSUKA SILK or LEATHER HA WATARI / Blade length: 2.5 (75.75cm) to 2.8 (84.84cm) TSUKA /Handle length: 9 (27.27cm) - 10.0 (30.3cm)Sageo / Cord: Cotton or Silk Tsuka ito/ Handle Braid: Silk or Leather A heavy iaito, weight about 940g Manufactured in SEKI by genuine craftsmen. 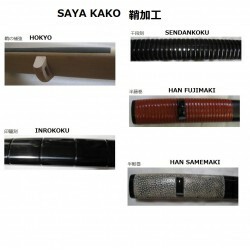 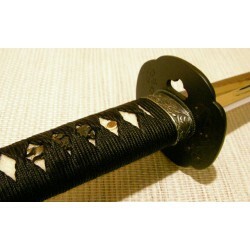 OPTION OF IAITO KOJIRI22 choices Metal tip installed on the saya to protect it. 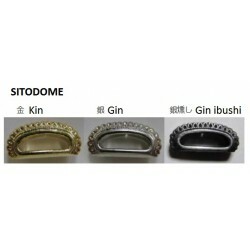 ** Option available only when purchasing an IAITO, cannot be bought alone.